Pontiac Solstice 2007, 2008, 2009, Full Interior Kit, 40 Pcs. Pontiac Solstice 2006, Full Interior Kit, 34 Pcs. Pontiac Solstice 2007, 2008, 2009, Basic Interior Kit, 16 Pcs. 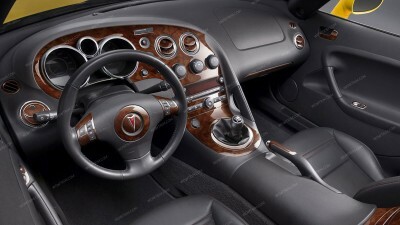 Pontiac Solstice 2006, Basic Interior Kit, 13 Pcs. Pontiac Solstice 2007, 2008, 2009, Optional Door Interior Trim Kit, 4 Pcs. Pontiac Solstice 2007, 2008, 2009, Optional Door Sills Interior Kit (Over Chrome Doorstep), 6 Pcs. Pontiac Solstice 2006, 2007, 2008, 2009, Optional Door Sills Interior Kit (Over Plastic Doorstep), 4 Pcs. Pontiac Grand Am (2007, 2008, 2009) / Solstice (2006), Exterior Kit, 5 Pcs.